Australia is using data from earth observation satellites for a range of operational, experimental and research land and ocean management applications. Calibration (adjustment and adaptation) and validation (verification and accuracy assessment) of these data using on- or near-ground information is essential to ensure sufficient levels of accuracy. As most earth observation satellite operators are located in North America, Europe and Asia their calibration / validation efforts are focused on the northern hemisphere. In order to ensure satellite data on Australia's unique environment are accurate it is essential that Australia is collecting appropriate calibration / validation data and is feeding back this information to the satellite operators. At the same time this activity ensures Australia 'a place at the table' where these countries make decisions about future satellite systems. The Savanna Supersite in Litchfield National Park has become a calibration / validation site for a number of international space programmes. In this scope the Northern Territory company maitec is collaborating with Geoscience Australia, CSIRO and a number of Australian universities, as well as with NASA, ESA (European Space Agency) and DLR (German Space Agency). 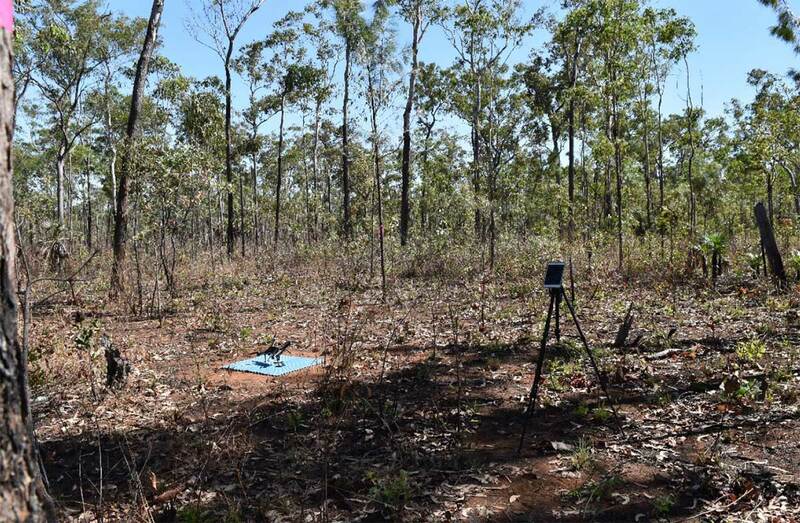 To collect calibration / validation data at the Savanna Supersite maitec has modified one of its unmanned aerial systems (commonly known as drones), originally developed with the support of the Northern Territory Government’s Department of Trade, Business and Innovation, for applications in horticulture, agriculture and aquaculture. The novel system allows the efficient collection of satellite calibration / validation data at tall vegetation and / or difficult to access sites. Through this activity in the Northern Territory, Australia is making a unique contribution to the international satellite earth observation community1.